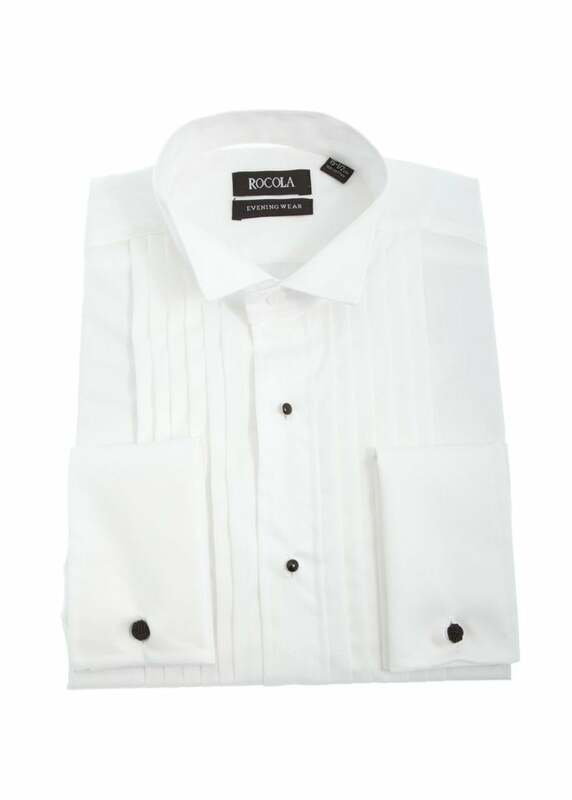 Rocola's Pleated Front Wing Collar Evening Shirt is a perfect evening shirt suited to every man's wardrobe. Rocola's Pleated Front Wing Collar Evening Shirt is a perfect evening shirt suited to every man's wardrobe. The beauty of this shirt is its extremely versatility. Due to its regular fit and beautiful cotton finish, this shirt oozes class and sophistication, allowing it to smarten up any regular evening look.